One Minute Reflection – 19 April – Christ crucified! He who calls us, came here below, to give us the means of getting there. He chose the wood that would enable us to cross the sea – indeed, no-one can Cross the ocean of this world, who is not borne by the Cross of Christ. Even the blind can cling to this Cross. If you can’t see where you are going very well, don’t let go of it, it will guide you by itself. So then, brethren, this is what I should like to impress on your hearts, if you want to live in a spirit of devotion, a christian spirit, cling to Christ just as He became for us, so as to rejoin Him as He is now and as He has always been. This is why He came down to us, for He became man that He might take up the weak, enabling them to cross the sea and disembark into the homeland, where a ship is no longer needed, because there is no more ocean to cross. In all events, it would be better for one’s soul not to see Him who is and to embrace Christ’s Cross, than to see Him spiritually but despise the Cross. So, for our own happiness, may we both see where we are going and cling to the ship that is taking us there…! Some have succeeded and have seen what He is. It was because he had seen Him that John said: “In the beginning was the Word and the Word was with God, and the Word was God.” They saw Him and, to attain what they saw from afar, they clung to the Cross of Christ. They did not despise the humility of Christ. Dear brethren, the Lord has marked out for us the fullness of love that we ought to have for each other. He tells us – No-one has greater love than the man who lays down his life for his friends. In these words, the Lord tells us what the perfect love we should have for one another involves. John, the evangelist who recorded them, draws the conclusion in one of his letters – As Christ laid down His life for us, so we too ought to lay down our lives for our brothers. We should indeed love one another as He loved us, He who laid down His life for us. This is surely what we read in the Proverbs of Solomon: If you sit down to eat at the table of a ruler, observe carefully what is set before you, then stretch out your hand, knowing that you must provide the same kind of meal yourself. What is this ruler’s table, if not the one at which we receive the body and blood of Him who laid down His life for us? What does it mean to sit at this table if not to approach it with humility? What does it mean to observe carefully what is set before you, if not to meditate devoutly on so great a gift? What does it mean to stretch out one’s hand, knowing that one must provide the same kind of meal oneself, if not what I have just said: as Christ laid down His life for us, so we in our turn, ought to lay down our lives, for our brothers? This is what the Hpostle Paul said – Christ suffered for us, leaving us an example, that we might follow in his footsteps. At this table of the Lord we do not commemorate the martyrs in the same way as we commemorate others who rest in peace. We do not pray for the martyrs as we pray for those others, rather, they pray for us, that we may follow in His footsteps. They practised the perfect love, of which the Lord said, there could be none greater. They provided “the same kind of meal” as they had themselves received at the Lord’s table. This must not be understood as saying, that we can be the Lord’s equals by bearing witness to Him, to the extent of shedding our blood. He had the power of laying down His life, we by contrast, cannot choose the length of our lives and we die, even if it is against our will. He, by dying, destroyed death in Himself; we are freed from death only in His death. His body did not see corruption, our body will see corruption and only then be clothed through Him, in incorruption, at the end of the world. He needed no help from us in saving us, without Him, we can do nothing. 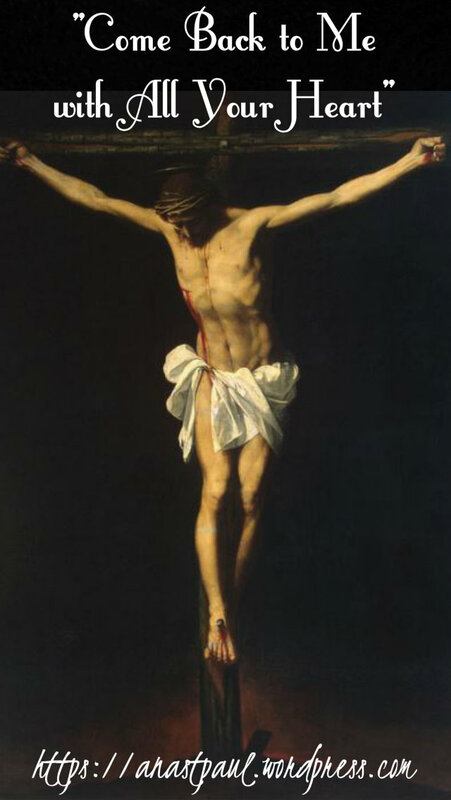 He gave Himself to us, as the vine to the branches, apart from Him, we cannot have life. Finally, even if brothers die for brothers, yet no martyr by shedding his blood brings forgiveness for the sins of his brothers, as Christ brought forgiveness to us. In this, He gave us, not an example to imitate but a reason for rejoicing. Inasmuch, then, as they shed their blood for their brothers, the martyrs provided “the same kind of meal” as they had received at the Lord’s table. Let us then love one another as Christ also loved us and gave Himself up for us. PRAYER – Almighty Father, we are slow to understand. In that love that You have for us and the grace, mercy and forgiveness You grant us. You gave Your only Son to save us from ourselves, help our lowly hearts, that we may understand Your love and in our smallness, offer all of our hearts, minds and souls, back to You in total submission and love. May Your saints and angels, help us on our way by their prayers and may Mary, the Sorrowful Mother of our Saviour, grant us, her heart, to love You in return. We make our prayer through our Saviour, Your Son, Jesus Christ in the unity of the Holy Spirit, God now and forever, amen. 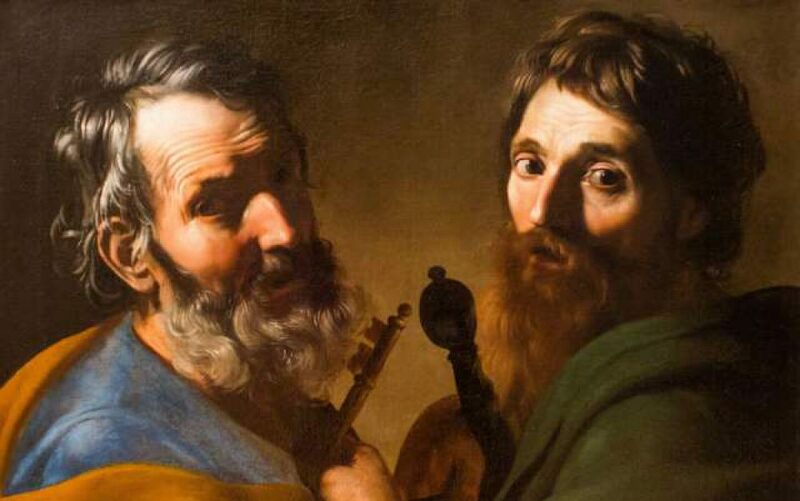 REFLECTION – “The angry Jews replied, “Thou art not yet fifty years old and hast thou seen Abraham?” And the Lord: “Verily, verily, I say unto you, Before Abraham was made, I am.” Weigh the words and get a knowledge of the mystery. “Before Abraham was made.” Understand, that “was made” refers to human formation but “am” to the Divine essence. “He was made,” because Abraham was a Creature. He did not say, Before Abraham was, I was but, “Before Abraham was made,” who was not made save by me, “I am.” Nor did He say this, Before Abraham was made I was made, for “In the beginning God created the heaven and the earth;” and “in the beginning was the Word.” “Before Abraham was made, I am.” Recognise the Creator-distinguish the creature. He who spoke was made the seed of Abraham and that Abraham might be made, He Himself was before Abraham. PRAYER – Lord God, break the bonds of our sin which our weakness have forged to enchain us and in Your loving mercy, forgive Your people’s guilt. Never flee from us in our weakness O Lord and grant us Your salvation. 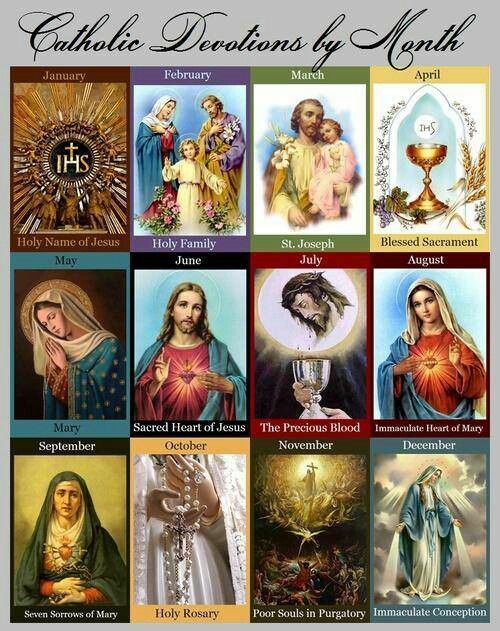 Help us Holy Mother to be the imitators of your Son. Through Christ our Lord, with the Holy Spirit, one God for all time and eternity, amen.